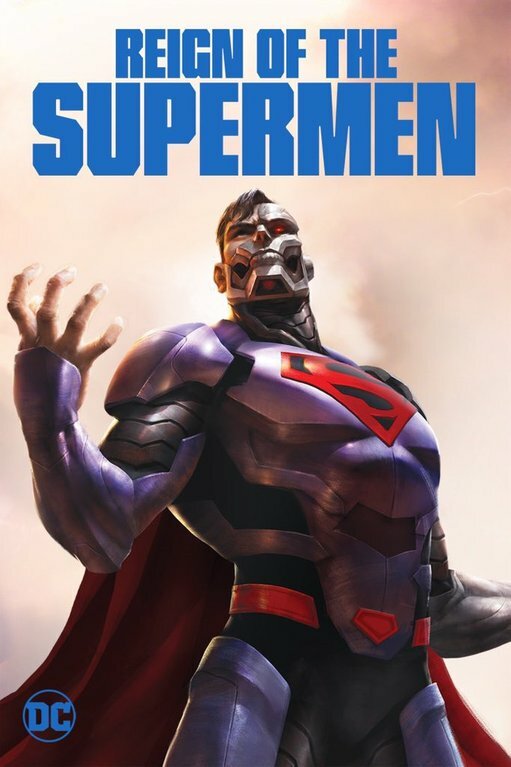 A new trailer has been released for the upcoming Reign of the Supermen animated movie. The critically acclaimed The Death of Superman took summer by storm, and the second half of the treasured DC Comics tale – Reign of the Supermen – completes the heroic package with its examination of a world first without Superman … and then with several vying for the ultimate title. Reign of the Supermen is directed by Sam Liu, written by Jim Krieg and Tim Sheridan, has character designs by Phil Bourassa, is produced by James Tucker, and stars Patrick Fabian as the voice of Hank Henshaw, Toks Olagundoye as the voice of Cat Grant, Nyambi Nyambi as Martian Manhunter, Cameron Monaghan as Superboy, Nathan Fillion as Green Lantern, Rebecca Romijn as Lois Lane, Rainn Wilson as Lex Luthor, Jerry O'Connell as Superman, with Cress Williams as Steel. The Death of Superman animated movie features Jerry O'Connell as the voice of Superman, Rebecca Romijn voicing Lois Lane, Rainn Wilson is voicing the villain, Lex Luthor, Rosario Dawson as Wonder Woman; Nathan Fillion returns as Green Lantern; Christopher Gorham as The Flash; Matt Lanter as Aquaman; Shemar Moore returns as Cyborg; Jason O'Mara will once again provide the voice of Batman; Rocky Carroll us voicing Cyborg’s father, and Patrick Fabian will voice Cyborg Superman Hank Henshaw.